英文摘要：The influences of annealing temperature on microstructure and electrochemical performance of Al-Zn-Bi-Mg-RE alloy anode were investigated by OM, constant current, polarization curves and electrochemical impedance spectroscopy (EIS) methods. The results show that there is a trend that the grain sizes of the alloy become larger and spheroidizer gradually and the second phase also evenly distributes in the grain boundaries with the annealing temperature increasing. The current efficiency of the alloy can be raised, open circuit potential shifts toward positive and working potential becomes more stable. 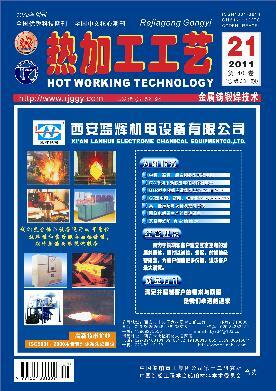 In a certain heat-treatment temperature range, the alloy annealing at 510 ℃ for 4 h has better electrochemical performance.